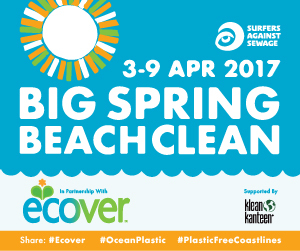 Ecover join our call for community volunteers to join the Big Spring Beach Clean this April (3rd – 9th April) to help clean up beaches nationwide and recycle over 50,000 plastic bottles as part of their Ocean Plastic Bottle Project. 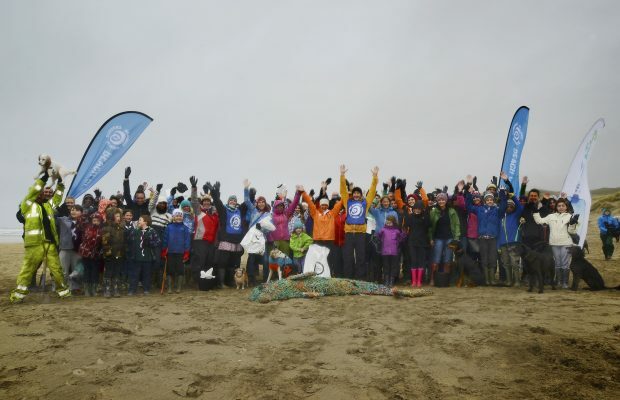 The Big Spring Beach Clean has fast become the biggest and boldest beach clean project in the UK, with tens of thousands of volunteers participating around the UK coastline over the last 5 years. This April we will welcome over 10,000 volunteers at hundreds of community events across England, Wales, Scotland and Northern Ireland. 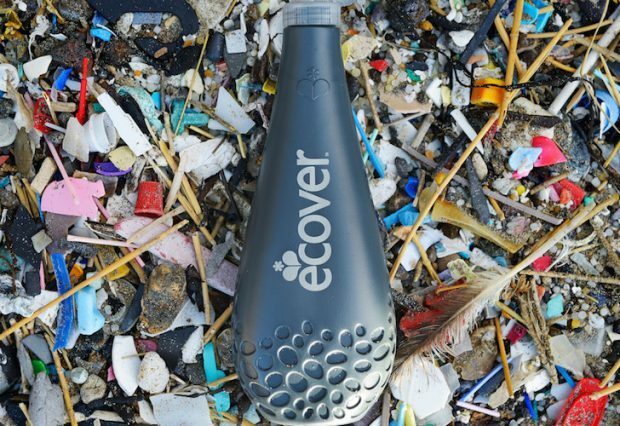 Marine plastic pollution is Surfers Against Sewage’s priority issue and the charity is delighted to be joining forces with Ecover, who have pioneered the use of reclaimed marine plastic in their limited edition Ocean Plastic Bottle since 2014. The Big Spring Beach Clean will help remove 50,000 plastic bottles from UK beaches, recycling many into reusable, refillable Ecover Ocean Plastic Bottles in 2018. Communities across the UK have already registered hundreds of community beach clean events, with individuals, schools, fellow NGOs, community groups and businesses stepping forward. We now invite you to register and lead your own Big Spring Beach Clean. Our beach clean team make organising your event easy, inclusive and enjoyable, so please drop us an email today with the name of your favourite beach at [email protected] or call 01872 553 001. If you’re super keen started you can register and use our step by step guide here! Plastic pollution has sadly become a dominating feature at beaches around the world, damaging global marine eco-systems and local communities that are reliant on a clean ocean environment. However, the marine plastic pollution crisis can no longer be ignored, nor the single-use throwaway society that drives it. With over a quarter of a billion metric tons of plastic pollution floating in our oceans (1) and over 5,000 items of litter on every mile of the UK’s coast (2) the time to act is now to reduce and wash away our collective ‘plastic footprint’ from our beaches. By collecting plastic that would pollute our oceans and converting it into functional packaging, Ecover’s Ocean Plastic Bottle raises awareness about using plastic conscientiously. We are part of a growing movement committed to delivering a ‘plastic paradigm shift’ which consigns the concept of ‘single-use, throwaway plastic’ to the history books, trapping plastic in a circular economy rather than allowing it to leak into our oceans. Creating a global circular economy, which redefines plastic ‘waste’ as a resource will be a key step towards a solution and it is for this reason that SAS are delighted to announce ecological cleaning company Ecover as lead partner on the 2017 Big Spring Beach Clean. Ecover have been at the forefront of sustainable, circular economy business since their birth in 1979 and the creation of the first ever phosphate-free washing powder. Ecover launched its world first limited edition Ocean Plastic washing-up liquid bottle in 2014, containing 10% ocean plastic and the rest made from post-consumer recycled plastic. Now in its 4th year, Ecover have sold 175,000 Ocean Plastic bottles across Europe. Plastic collected during the Big Spring Beach Clean and beyond will be used in Ecover Ocean Plastic bottles from 2018. It is through the Ocean Plastic Bottle project that SAS and Ecover aim to demonstrate the vast potential of symbiotic relationships between environmental NGOs and industry to create genuine circular economy products and better protect the environment for everyone. Look out for more news on how we will achieve this later in the year. 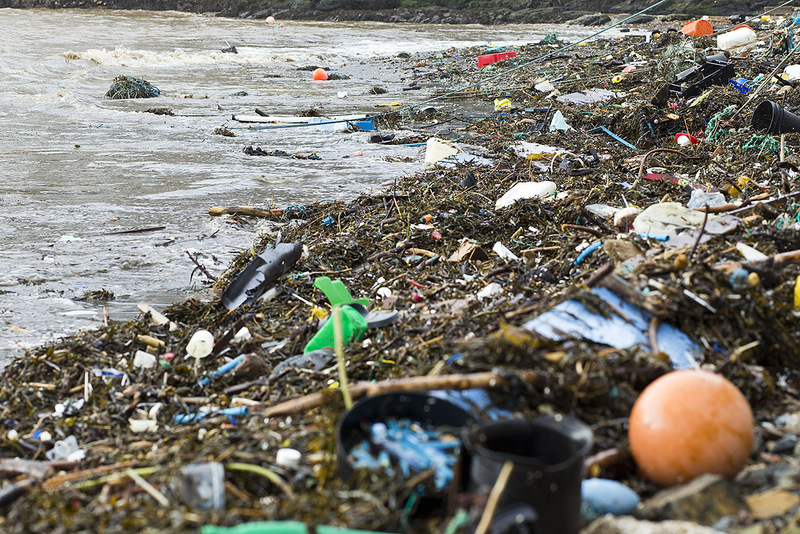 The role of SAS’s Big Spring Beach Clean Lead Volunteers has never been more important. As we strive to maximise the positive impacts of the Big Spring Beach Clean we need the support of people who are willing to go the extra mile to protect their favourite beaches. If this sounds like you then all you have to do is contact their beach clean team at [email protected] or call 01872 553001, register your beach TODAY (all Lead Volunteers will receive a unique Big Spring Beach Clean pack including an exclusive SAS Klean Kanteen)! Since 2010 thousands of Big Spring Beach Clean volunteers have helped remove a colossal 108 TONNES of marine litter, an incredible achievement which has made our coastlines cleaner, healthier and happier. However despite this it is clear that this plastic pollution crisis cannot be solved through beach cleans alone, we must look far ‘beyond the beach clean’ to create and promote solutions that will stem the ever rising tide of plastic washing into our ocean. This is why we’re so excited to be working with Ecover this year. We’re delighted to be partnering with Surfers Against Sewage in their campaign to clean up the UK’s beaches. We share the same hairy ambition – to get people to totally rethink how they use plastic. Now in its 4th year, our Ocean Plastic bottle is designed to raise awareness of the impact of plastic on marine life. But we need to go further and change how we use, re-use and recycle plastic if we’re serious about creating a circular economy and a systematic clean-up of the sea.